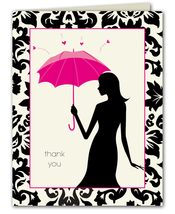 "Just wanted you to know that I received the invitations and they are fabulous. Thanks very much!" 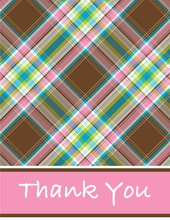 In this section you will find THANK YOU NOTES and GENERIC NOTE CARDS for WOMEN and GIRLS. 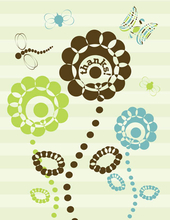 All of the note cards are available BLANK on the front or PERSONALIZED with one line of text on the front. The cards are BLANK INSIDE. These make great gift ideas for almost any occasion for your friend, your mother, your daughter, or any woman in your life.